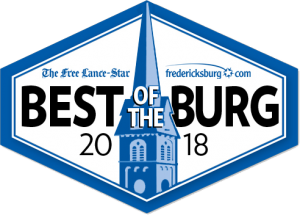 Awards | Robert B. Payne, Inc.
Fredericksburg Readers Choice Award winner in 2016, 2017, and 2018! 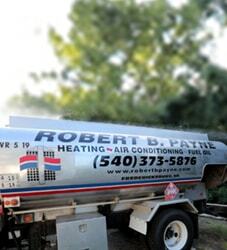 Robert B. Payne, Inc. has been a BBB Accredited Business since October of 1986. Fredericksburg Family Favorite Winner 2017. 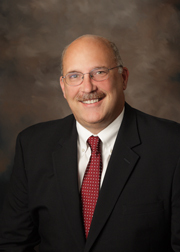 In June 2012, Robert B. Payne, Inc. president, Bob Thompson, was honored with the Ethical Business Leader Award by the Fredericksburg Regional Chamber of Commerce and Rappahannock Rotary Club. Read More Here. In February 2013, Robert B. Payne, Inc. received the award for Top Volume Dealer and the Pacesetter award at the annual Trane Dealer Sales meeting in Pinehurst, NC. The Top Volume Dealer award distinguishes Robert B. Payne, Inc., as #1 in Volume purchases for 2012. 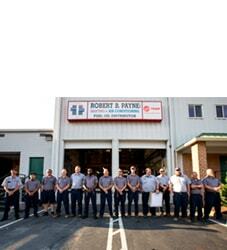 The Pacesetter award recognizes Robert B. Payne, Inc. as one of the top-ten volume dealers in the region in 2012. The Distinguished Dealer Award recognizes Carrier’s most successful, service-oriented dealers based on leadership and management, customer intimacy, brand recognition, expertise, and operational excellence. Robert B. Payne, Inc. was awarded the DSO Sales Achievement Pinnacle Award in 2007 & 2008 from Trane. This award is for the Top Regional Dealer Sales in the region. Quality installations require well-trained people. 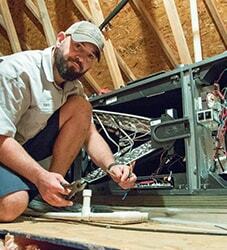 Our technicians are factory trained and NATE (North American Technician Excellence) certified, too. All of our team members must pass a drug test and complete background check. You can be assured that when we show up, you will be dealing with people you can trust – on every level. ACCA is the only nationwide organization of, by and for the small businesses that design, install and maintain indoor environmental systems.